This tomato salsa recipe for canning is packed with tomato, peppers, onions, and just enough spicy tingle to tickle your taste buds. Open a jar any time and enjoy with tortilla chips or with your favorite Mexican inspired meals. 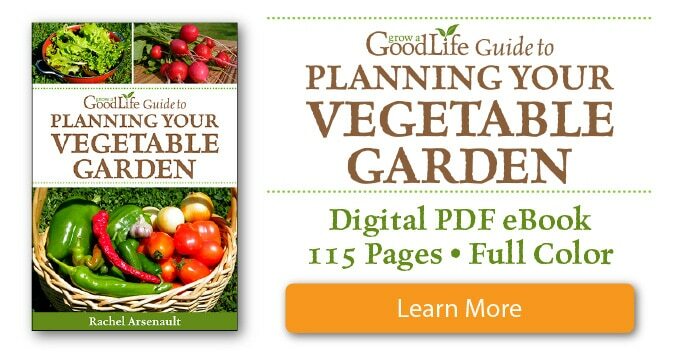 Wash, peel, seed, and chop your ingredients first, then measure or weigh them. A kitchen scale comes in very handy when preserving the harvest. I have included both weight and cup measurements in the recipe below. Select one method of measuring and stick with it throughout the recipe so the ratio of ingredients remains the same. Paste tomatoes, such as Roma, San Marzano, and Amish Paste, have a firm flesh and will produce a nice thick salsa. Slicing tomatoes can also be used, but they are more watery. Both paste and slicing tomatoes are safe to use for making salsa, but I recommend using paste tomatoes for a denser salsa. Peel the tomatoes by bringing a large saucepan of water to a boil and filling a large bowl with ice water. Dip your tomatoes into the boiling water until the skins crack and loosen – about 30-60 seconds. Remove the tomatoes from the pot and place in the bowl of ice water to cool. Peel and chop your tomatoes once they are cool enough to handle. 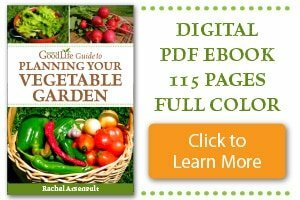 Peel your peppers if you are using long chile peppers such as Anaheim or Mexican chile peppers. 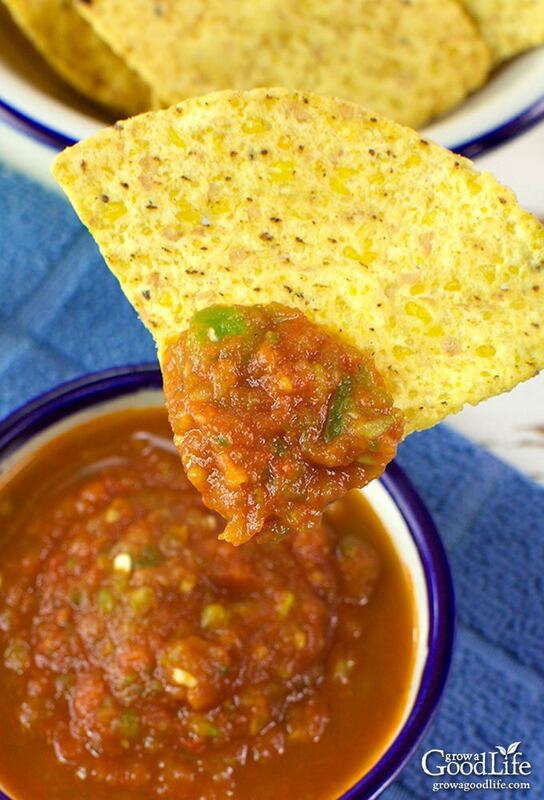 The tough skin can give an unpleasant texture to salsa. See How to Roast and Peel Peppers. Red, yellow, white onions, or a mixture of all three can be used. Do not change the total amount of onions. 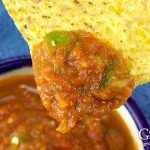 This salsa recipe for canning is packed with tomato, peppers, onions, and just enough spicy tingle to tickle your taste buds. Open a jar any time and enjoy with tortilla chips or with your favorite Mexican inspired meals. Combine your prepared ingredients in a large sauce pot. Bring to a boil over high heat, and then reduce to a simmer for 10 minutes. Cover the canner and bring to boil over high heat. Once water boils vigorously, continue boiling for 15 minutes at altitudes of less than 1,000 ft. (adjust processing time for your altitude if necessary). After 12 to 24-hours, check to be sure jar lids have sealed by pushing on the center of the lid. The lid should not pop up. If the lid flexes up and down, it did not seal. Refrigerate jar and use up within a week. Once the jar is open, refrigerate and use up within a week. Yields 6 half pints, 3 pints. Calories based on 4 tablespoon serving size. Enjoy your home canned salsa with chips, or in your favorite Mexican inspired meals such as burritos, chicken enchiladas, chili-lime beef steak fajitas, or nachos.